If you are the customer of HDFC Bank then today I am going to tell you how to link the Aadhaar card to HDFC Bank Account. If you have a HDFC bank account, you can easily link aadhar card online, you do not need to visit the bank. Here I will tell you 4 methods to link Aadhaar card with HDFC account, which you can follow. HDFC customers can easily update their Aadhar card with their account by following these methods. First log in to HDFC Internet Banking. After logging in, In Accounts Section you have to click on the Request tab on the left side. 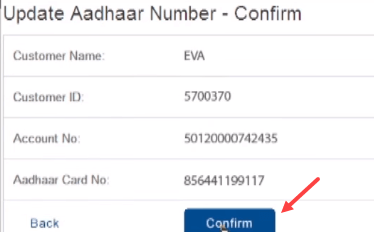 In the request you have to click on View / update Aadhaar number. Now select your account number in the next screen and type your 12-digit Aadhar number and submit it. Once again confirm on the next page. That’s it, your updation request fulfilled within 3-4 days. HDFC Bank Mobile Application is available for Android, iOS platform and I’m sure you are using it. 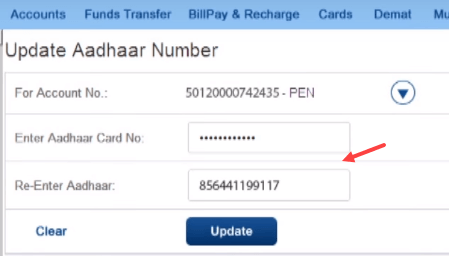 Aadhaar Seeding facility also available in HDFC mobile banking application. After logging in, you have to tap on Request in Accounts section. You can also do this work through IVR phone banking. First call your City IVR number and after selecting the language, select the Bank Account option. Then select the Complaint & Request option. Done, now you will receive confirmation message. You can also do this by visiting to your HDFC branch. Visit your hdfc branch with Aadhaar copy and fill out the form and submit it with aadhaar copy. It will take 3-4 days to complete the process. 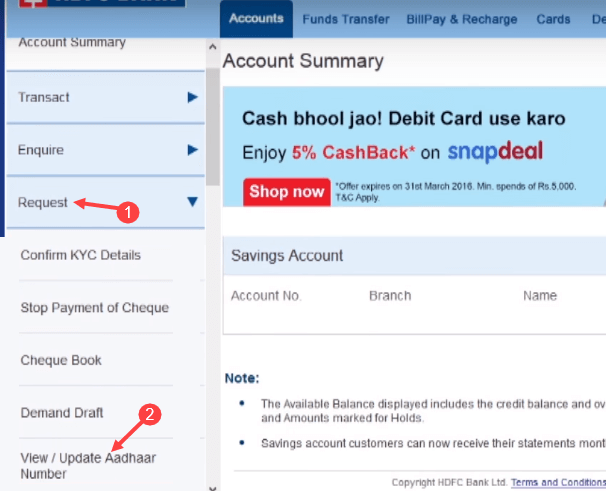 So with these 4 methods you can link the Aadhaar card with your HDFC bank account.